*This review contains spoilers for 1934’s This Man is Mine. 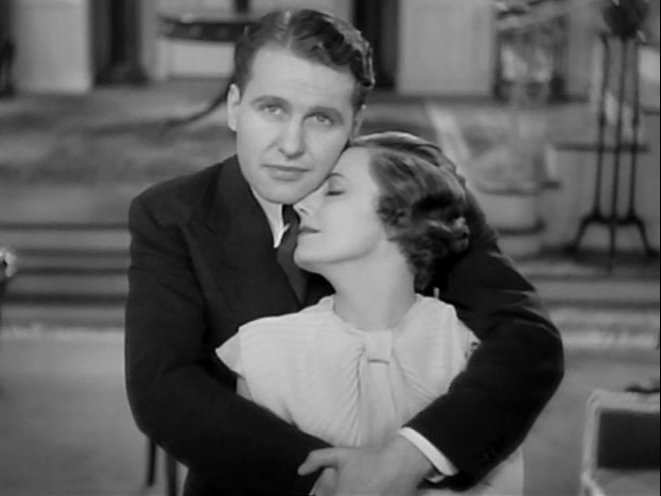 Tony (Irene Dunne) and Jim Dunlap (Ralph Bellamy) have a pleasant life and marriage. Tony is the stereotypical “ideal” wife – devoted to her husband, affectionate, able to craft beautiful paintings for his birthday, hosts lovely get-togethers with their friends, keeps the home in pristine condition and raises their son, all without a hitch. Jim has a bit of a scandalous past with an ex named Fran (Constance Cummings), but Tony doesn’t think anything of it because her husband now seems quite devoted to their marriage. But things get rocky when Fran shows back up in town with the goal of stealing Jim away from his family. With sassy best friend Bee (Kay Johnson) at her side, Tony takes matters into her own hands when her husband falls for Fran’s tricks. This Man is Mine is based on Anne Morrison Chapin’s play titled “Love Flies in the Window.” John Cromwell directs this RKO romantic drama/comedy, which allegedly appeared on the Detroit Catholic Church’s “to-be-boycotted” list due to its divorce, revenge and adultery-filled plot. This film immediately draws the viewer in. The beginning focuses only on Tony, Bee and their husbands having a normal night together, conversing and having a few laughs. Future trouble is hinted to in the dialogue, but in general all seems quite pleasant. 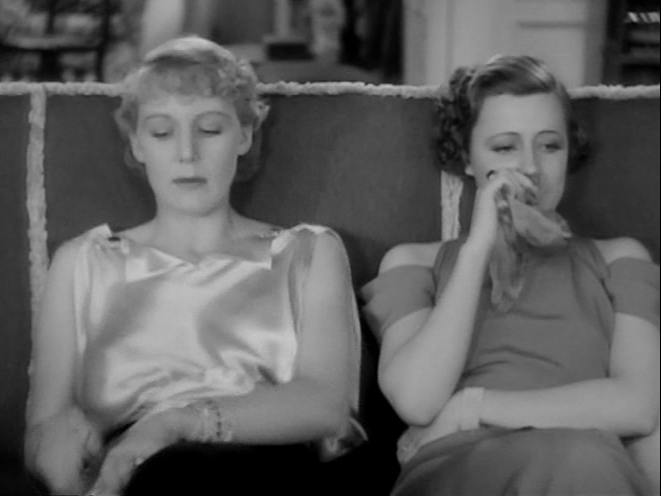 What hooks the viewer at this point is the magnetism of the lead actors, and Irene Dunne in particular. Dunne drums up a lot of sympathy for her character as the film progresses, along with fuming anger at Bellamy and Cummings’ characters. When Fran hops on the scene, the film becomes even more engrossing. Constance Cummings is perfectly catty and sneaky in her role as home-wrecking Fran. On one hand the viewer despises her for the way she’s acting, but on the other hand her conniving nature is hilarious to watch. 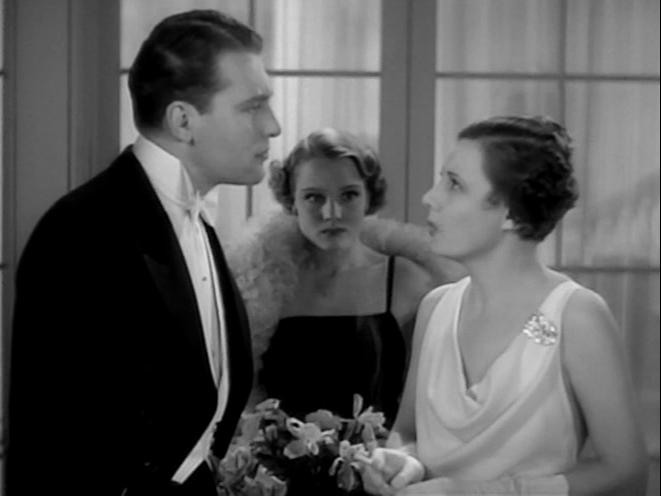 With such an effective performance in her unlikable character, Cummings was the perfect choice to play against Dunne, who is able to endear her character to the audience effortlessly and early. Dunne and Cummings certainly stand out in their rivaled roles, but great performances are given all around. These performers are very believable – calm at the right times, overly emotional at others – and they work very well with each other. The pairing of Dunne and Johnson as best friends is a prime example of this cast’s chemistry. They truly seem like they’ve been friends for years, rather than coming off as two actors who are pretending to have been friends for years, and while Bee may give questionable advice once in a while it is clear from Johnson’s performance that the character does have Tony’s best interests in mind. Bee is supportive and willing to directly confront Fran in order to protect her best friend’s honor. She’s a great character, and Johnson does a great job of portraying her. The plot of This Man is Mine is nothing particularly ground-breaking or spectacular. But with sharp dialogue, full of wit and even a few laughs, it’s hard not to have fun watching this drama play out. This is particularly true in the later portion of the film, when Tony turns from a somewhat forgiving wife into a revenge machine, planning and plotting to take down both Fran and Jim for how their actions have affected her life. The ending of the film, however, is highly unsatisfactory. Though Tony and Jim’s marriage seems happy enough in the beginning, Bellamy’s character is unlikable from the start. Even when things are going smoothly for the couple, he doesn’t seem to appreciate Tony’s efforts as much as he should. When she hangs a new painting for his birthday, he doesn’t notice it for days – and only notices it eventually because Bee points it out. Cheating on his wife with Fran certainly elevates the audience’s disdain for the character, but he’s never been a great husband, and the way that he thinks he can keep coming back to Tony with no consequences for his wrong-doing is inexcusable. She not only cheated on Tony, but beat the girl he cheated on her with, and tries to force Tony into a divorce before changing his mind and seeing himself for the supreme loser that he has been. As terrible as it is to wish revenge on someone (even a fictional character), I wholeheartedly wanted Tony to get back at her acorn-brained husband in the end, and so was very disappointed by the ending. All images used in this post are credited to Irene Dunne Project, a great site in which the blogger has set out to watch all of Irene’s films in chronological order and review them! Check it out on blogspot.